We’re somewhere in the African desert for the Pink Elephants slot machine from Thunderkick. We’ll be giving you a full lowdown on the title, including a look at the game’s special features, its artwork, its payments, and its betting limits. We’ve a load to cover today, so let’s begin already! 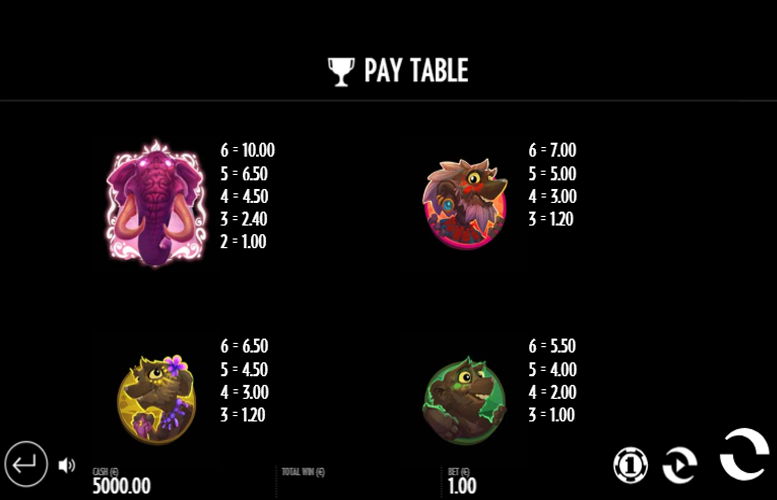 Highly generous free spin mode, with plenty of opportunity to retrigger additional Bonus Games. Great artwork and sound effects. Unfortunately, it’s not exactly clear what the slot’s theme actually is though. Obviously, we have elephants and meerkats but why those two creatures particularly and why do the meerkats have face paint on? These are just two of the questions we found ourselves asking. Incredibly low main game prizes. We’ve seen some slot machines award an impressive 10,000x the line bet or more for five-of-a-kind. On Pink Elephants, the maximum winning combination is six of the same symboland you’ll receive a paltry 10x the total bet amount for landing it! Kind of dull bonus features. There are no true second screen games and the free spins and other features will get boring fast. Elephant = 10x the total bet. Red meerkat = 7x the total bet. Yellow meerkat = 6.5x the total bet. Green meerkat = 5.5x the total bet. Blue meerkat = 5x the total bet. Rather use the standard win lines common on most online slot machines these days, Pink Elephants instead pays according to a “4,096 Pay Ways” system. This means that players must only land matching symbols on adjacent reels, rather than along a strict win line. As the name suggests, there are a massive 4,096 different ways that a winning combination can be formed! 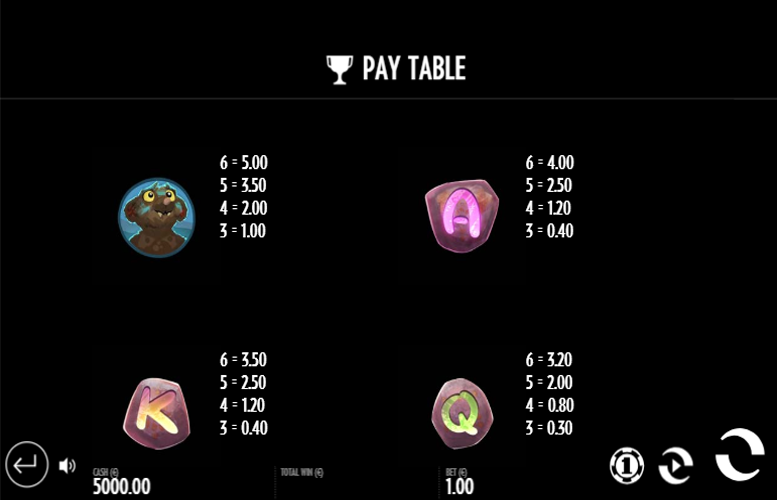 Two “Scatter” Symbols = No free spins during main game, three free spins during Bonus Game. 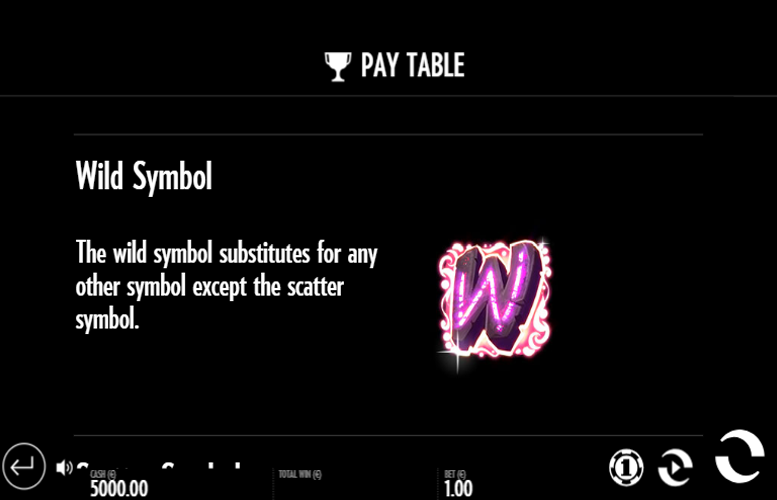 Three “Scatter” Symbols = Seven free spins during main game, five free spins during Bonus Game. Four “Scatter” Symbols = 11 free spins during main game, seven free spins during Bonus Game. 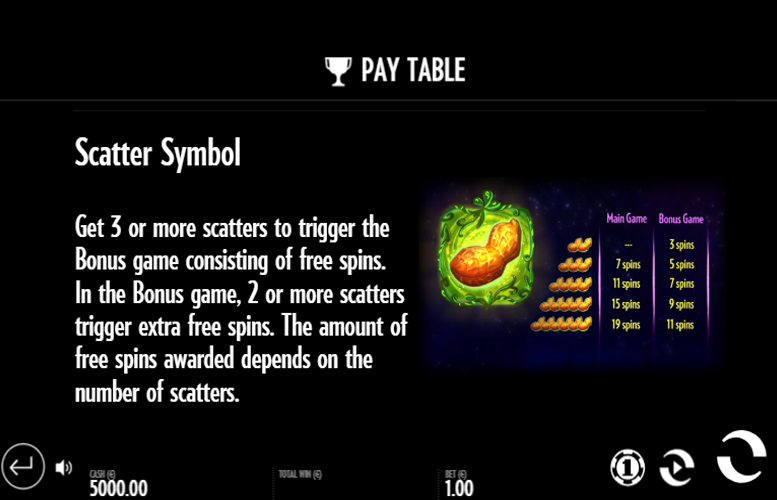 Five “Scatter” Symbols = 15 free spins during main game, nine free spins during Bonus Game. Six “Scatter” Symbols = 19 free spins during main game, 11 free spins during Bonus Game. During the bonus game, Elephant Orbs are collected in order to fill the symbol meters. When a meter is filled, the symbol transforms into an Elephant symbol for the remainder of the Bonus Game. The player is then awarded with one additional free spin. 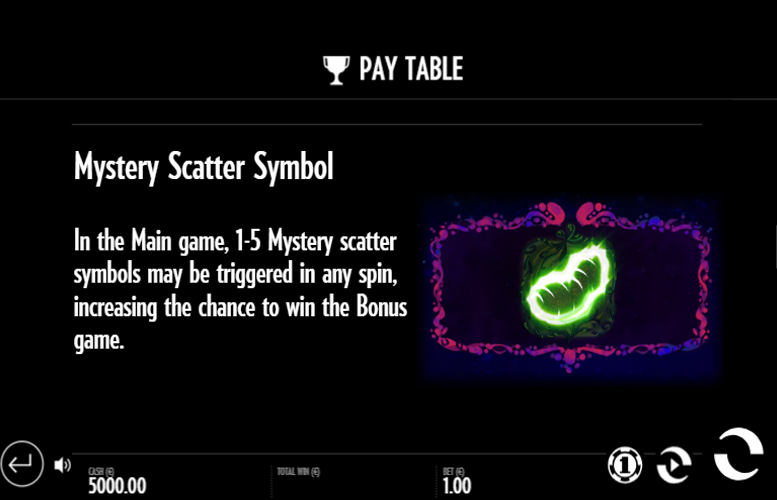 During the main game, between one and five Mystery “Scatter” symbols may be triggered on any single spin. This substantially increases the likelihood of players activating the Bonus Game. Ace = 4x the line bet. King = 3.5x the total bet. Queen = 3.2x the total bet. Players are sort of restricted when it comes to distributing their bets on the Pink Elephants slot machine. Rather than being given the opportunity to alter the number of win lines wagered upon and the value of each bet placed on them, they are only able to select from a list of 12 total bet amounts. The largest total bet amount is £100. Meanwhile, the smallest is just 10p. This shows that Thunderkick have tried to make Pink Elephants appeal to a wide selection of players of differing budgets. However, those who control the very largest bankrolls may still find this upper limit somewhat restrictive. 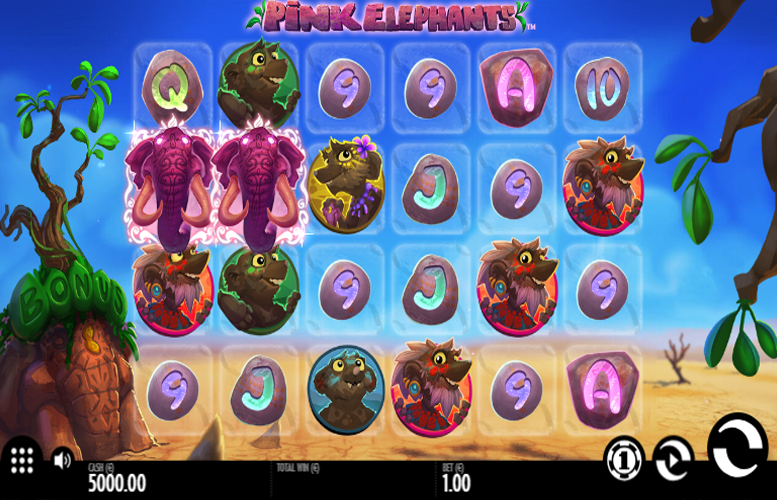 Pink Elephants is a great title if you like slots with strong looks, simplistic gameplay features, and massive gameboards. However, if this combination of qualities doesn’t sound ideal to you, you might find it gets stale a little quickly. There just hasn’t been a great deal of effort put in to explaining the theme itself or creating appropriate bonus features for the content. This coupled with the low main game prizes makes for a slot machine that seems unlikely to attract many diehard fans. This game has a rating of 3 / 5 with 467 total reviews by the users.